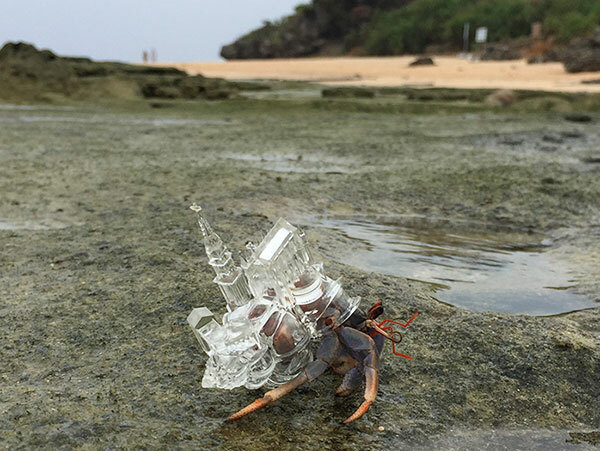 A 3D-printed habitat for hermit crabs by Japanese artist Aki Inomata. Entitled "White Chapel" from the series "Why Not Hand Over a “Shelter” to Hermit Crabs? 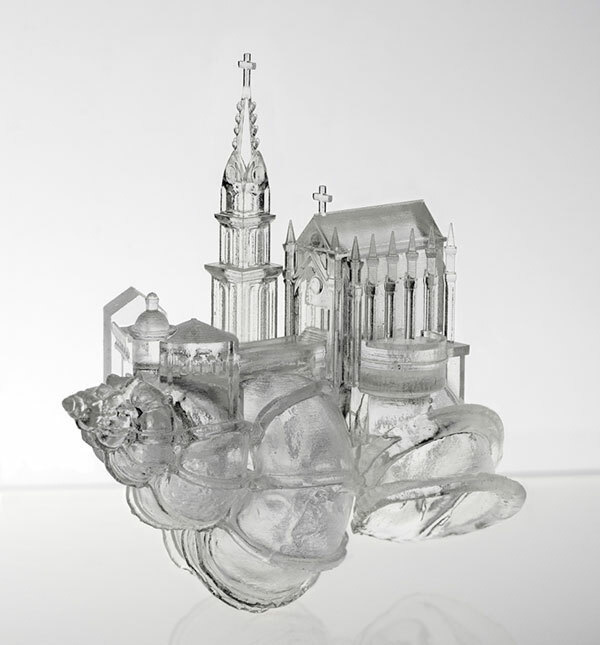 ", the transparent shell is in the shape of a church that in Japan is solely used for wedding ceremonies. Only 1% of Japanese are Christians but 60% of weddings in Japan are held in Christian-style buildings. These chapels, which are white on the outside, are built borrowing styles from Gothic and Romanesque architecture. By giving 3D models of churches of these types to hermit crabs, Inomata wanted to portray the Japanese people's tendency to borrow foreign cultural elements and adapt them as their own. When I visit western countries, I sometimes notice the original of architecture, habits, foods, etc. In Japan, they would be transformed into local styles. And I ask myself, "Are we Japanese living in a mimicry of western world?" For me, these imitation, or I would say reproduction or rearrangement of Western-style architecture seem to reflect identities of post-colonialism inside of Japanese people.